My Tahoe is hiking and trail running. Desolation Wilderness has fabulous hiking, trail running, and backpacking opportunities. 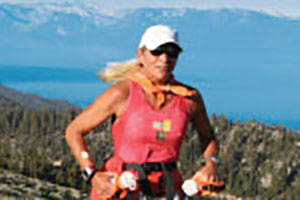 Any of the peaks—Freel, Tallac, Pyramid, Ralston—are great for hill work and amazing vistas. The Tahoe Rim Trail is one my favorite Lake Tahoe trails. It’s 165 miles total, but every section is stunning! The Bench is a section of the Rim Trail from Kingsbury to Spooner Summit. The vistas are incredible and you can run up to 25 miles out and back. Make sure to carry plenty of water and arrange a car shuttle. 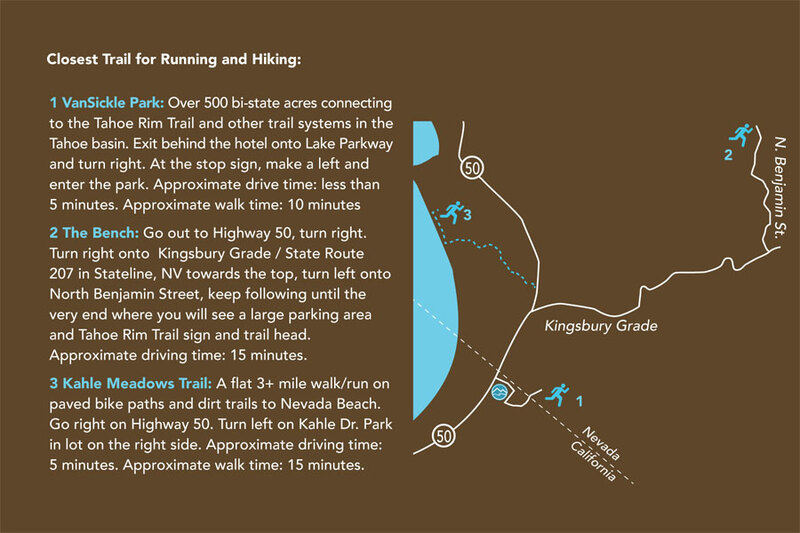 To learn more about the hiking and running trails in the South Tahoe area, talk to our staff! They can’t wait to help our guests make the most of their Tahoe vacations with advice and recommendations on where to go, what to see, and what to do while here! Looking for a package that will work for your Tahoe? Visit our packages page!